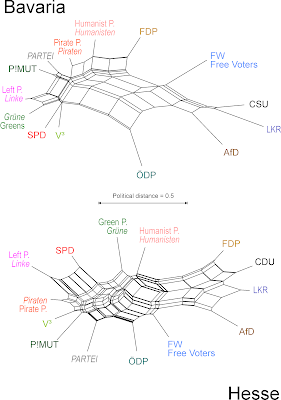 Greatly enjoyed and appreciated your work. 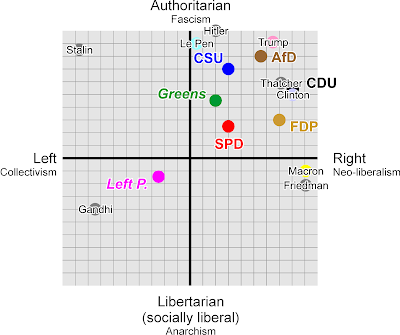 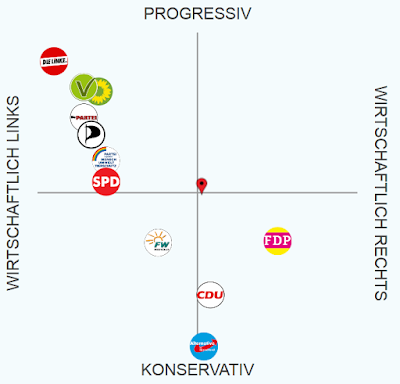 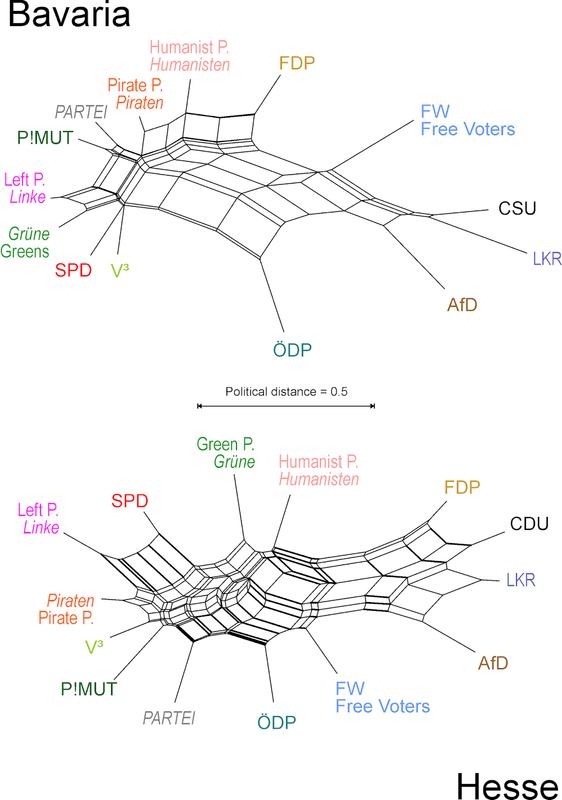 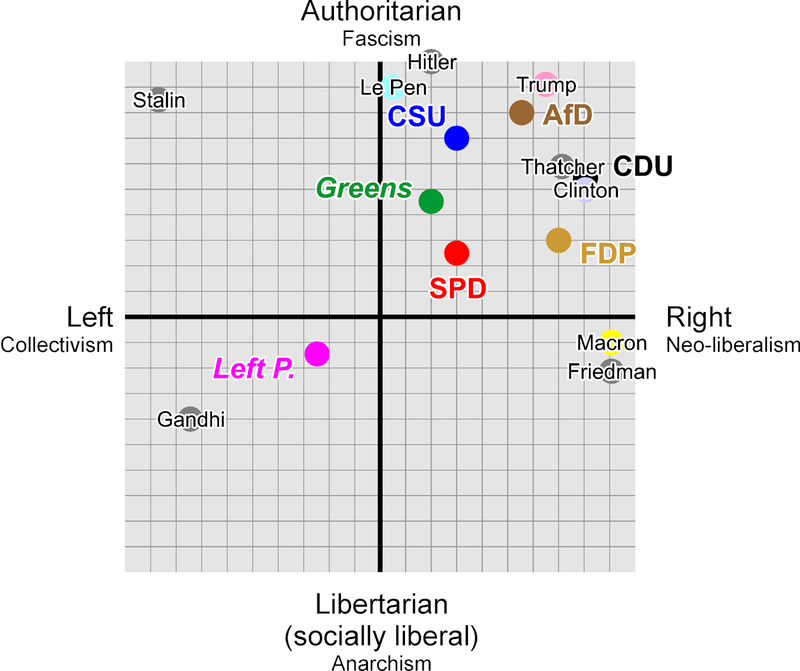 Thank you very much for this tool to analyze the political landscape. 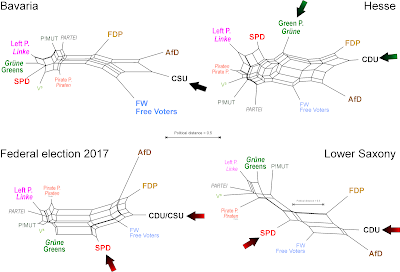 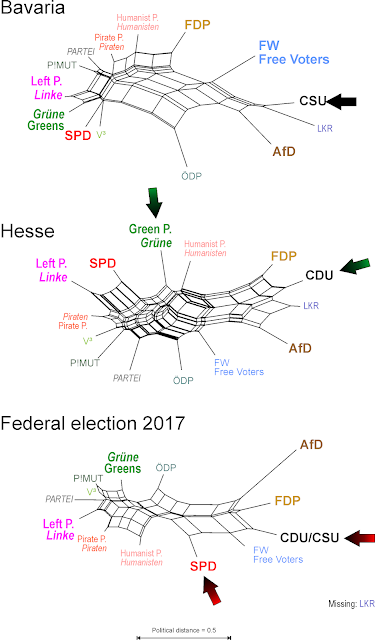 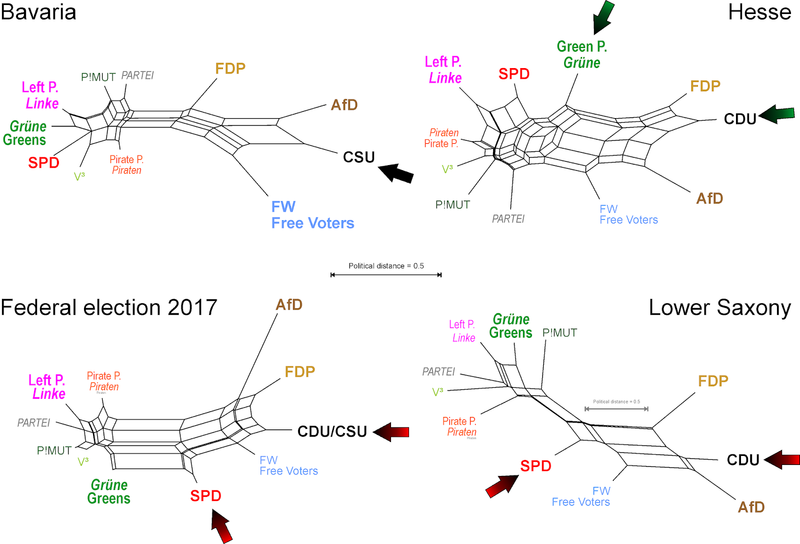 However, since I'm from Hanove, the state capital of Lower Saxony, I have to note that the state is not governed by a coalition of CDU and FDP but was governed by SPD and Greens before the last election (October 2017) and now by SPD and CDU. Anyway, a minor flaw in an otherwise astonishing article. Of course. It's hard to keep track of all the "big coalitions" these days. 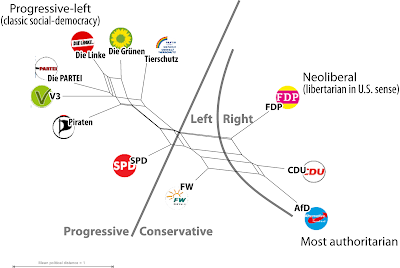 My memory probably mixed it up with North Rhine-Westphalia (a more likely candidate for black-red than Lower Saxony). 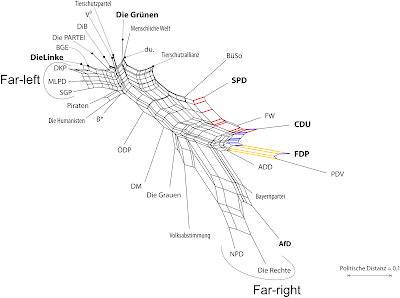 Will correct the figure, thanks for pointing out.